The best part of being the host of a party is getting to see what your guests will bring! Make sure you RSVP in style by sending your hosts a basket of goodies you know will be a hit. Your recipient will receive a bottle of rich Bacardi Gold Rum (750 ml), along with an assortment of snacks to help keep the party going. 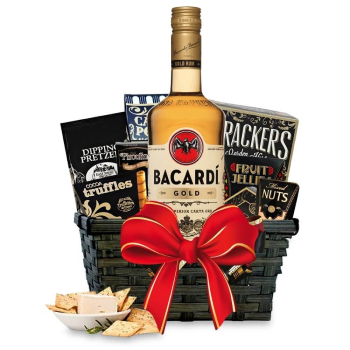 Celebrate their Birthday, send your best wishes, or just say Thank You with Rum Gift Basket.